Classic rock sound on a classic rock medium. Anthem of the Peaceful Army is the debut studio album from Michigan's skyrocketing rock band featuring the Kiszka brothers, and drummer Danny Wagner. It originally released on October 19, 2018. 11. "Lover, Leaver (Taker, Believer)"
11. 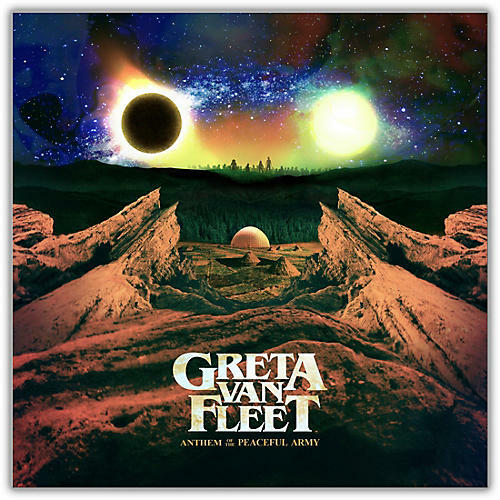 "Lover, Leaver (Taker, Believer)"
Get ready to rock out with your Greta Van Fleet. Order now.